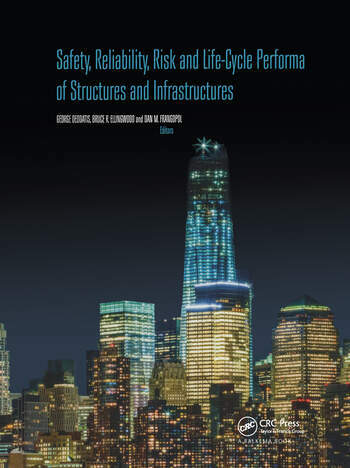 Safety, Reliability, Risk and Life-Cycle Performance of Structures and Infrastructures contains the plenary lectures and papers presented at the 11th International Conference on STRUCTURAL SAFETY AND RELIABILITY (ICOSSAR2013, New York, NY, USA, 16-20 June 2013), and covers major aspects of safety, reliability, risk and life-cycle performance of structures and infrastructures, with special focus on advanced technologies, analytical and computational methods of risk analysis, probability-based design and regulations, smart systems and materials, life-cycle cost analysis, damage assessment, social aspects, urban planning, and industrial applications. Emerging concepts as well as state-of-the-art and novel applications of reliability principles in all types of structural systems and mechanical components are included. Civil, marine, mechanical, transportation, nuclear and aerospace applications are discussed. The unique knowledge, ideas and insights make this set of a book of abstracts and searchable, full paper USBdevice must-have literature for researchers and practitioners involved with safety, reliability, risk and life-cycle performance of structures and infrastructures. Investigating the randomness in the outcome of a die throw. Rationality: Does it matter in attacker-defender games? Seismic fragility of scoured bridge systems: Scour is beneficial? How to select optimal mitigation strategies for natural hazards?